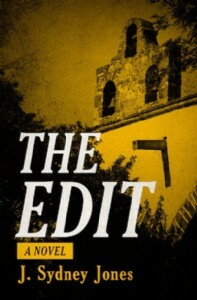 Impeccably researched and chillingly believable, The Editis a truly unique novel of suspense written by J. Sydney Jones, author of Ruin Value, a groundbreaking mystery set in the shadow of the Nuremberg Trials. This time, Jones takes the reader into a truly horrifying place: deep within the mind of a Nazi. Get it here in paperback and eBook!